Launching in nine European countries at the end of last year, Layar’s social and user-generated augmented reality app Stiktu is now available worlwide, allowing you to tag and add your own content to any scannable surface with your iOS or Android smartphone. From today, users around the world will be able to add drawings, text, images and even stickers to magazines and posters, adding to existing creations or leaving them for other people to find. Users will be able to connect by linking, sharing and commenting on real-world items and objects that have been tagged virtually via the app. 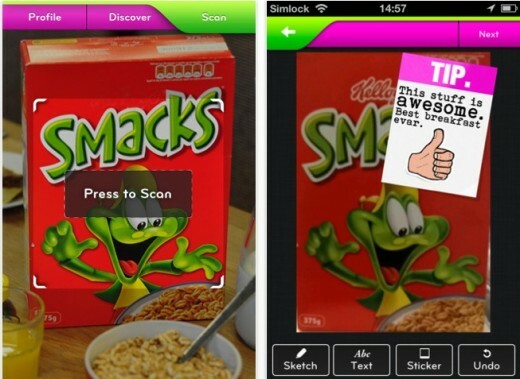 Layar is no stranger to augmented reality apps, in fact it rolled-out 3D AR graphics back in 2009, then its Layar Vision app which brought AR to publications, and we also interviewed Layar’s CEO Raimo van der Klein back in June last year. You can download Stiktu via the App Store and Google Play using the links below.